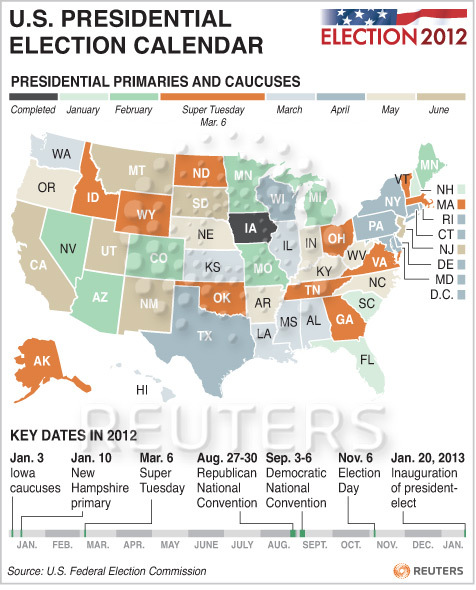 This graph from Reuters shows when the primaries and caucuses are held during the 2012 United States presidential election. At these primaries and caucuses the republicans choose a contender for the presidential elections in November. March six is the big 'Super Tuesday' with 12 states up for grabs. November six is the presidential election day, when we know whether Obama will get re-elected or the republicans will take over the White House.